The South Korean actor, singer, and model dubbed as "King Of Ads" and "Long-Legged Oppa," has made us swoon non-stop after more than five successful dramas and multiple visits to the Philippines. And because we've fangirled over him for more than a decade, here's a refresher course on Lee Min Ho's early career, pivotal roles, past relationships, and notable awards. Lee Min Ho was born on June 22, 1987, in Heukseok-dong, Seoul, South Korea. We don't know much about Lee Min Ho's parents, because they tend to keep their personal lives private, but we do know that his sister, Lee Yun Jeong, is the CEO of MYM Entertainment, Lee Min Ho's current agency. Lee Min Ho was going to be a professional soccer player, but an injury during elementary school made him shift to acting. By his final year of high school, he was signed by Starhaus Entertainment. Most of us first saw Lee Min Ho as Gu Jun Pyo in the 2009 series Boys Over Flowers, but how exactly did the Korean oppa get started in the acting industry? Before getting his big break, Lee Min Ho officially made his acting debut on May 10, 2006, through the show Secret Campus. He also had roles in television dramas such as Mackerel Run, I Am Sam, and Get Up, and for films Public Enemy Returns and Our School E.T. He celebrated his 12th year in the industry this 2018. In this Korean adaptation of the manga Hana Yori Dango, Lee Min Ho played Gu Jun Pyo (his first major lead role), the leader of F4 and heir to the Shinhwa Group, one of the biggest companies in South Korea. He's hot-tempered and unable to express his feelings well. He torments Geum Jan-di (Ku Hye Sun) but ends up falling in love with her. Lee Min Ho auditioned for the role along with hundreds of other actors, and actually found out about his casting through a newspaper! This romantic comedy tells the story of furniture designer, Park Kae-in (Son Ye Jin), who lives with architect Jeon Jin-ho (Lee Min Ho) because she's under the assumption that he's gay. This action series features Lee Min Ho as Yoon-sung, whose ultimate goal is to avenge his father's killers. He assumes a double life by using the identity of a Korean-American teenager, graduating from MIT with a doctorate degree, and landing a job at South Korea's presidential palace where he meets presidential bodyguard Kim Na-na (Park Min Young), with whom he falls in love. P.S. Lee Min Ho actually suffered from a car accident while filming the series. It's about a modern-day plastic surgeon (Kim Hee Sun), who is kidnapped and travels back in time to the Goryeo period, 700 years in the past. There, she falls in love with her kidnapper, Lee Min Ho's character, a warrior and the leader of the royal guard. The series follows a group of rich, privileged high school students as they are about to take over their families' business empires. Lee Min Ho played Kim Tan, a member of the elite who falls for poor girl Cha Eun-sang (Park Shin Hye). He is later forced to choose between the responsibility of pursuing the family business or ~love~. This South Korean noir action film is set in the 1970s against the backdrop of the real estate development of Seoul's Gangnam district amidst socio-political turmoil and terrorism. Lee Min Ho gets caught in battles between political powers and criminal organizations. Inspired by a classic Joseon legend from Korea's first collection of unofficial historical tales about a fisherman who captures and releases a mermaid, this drama tells the love story of a con-artist (Lee Min Ho) and a mermaid (Jun Ji Hyun) who travels across the ocean to find him. This action comedy movie features highly-skilled bounty hunters pursuing fugitives in Korea, China, Hong Kong, and Thailand. Lee Min Ho plays San, a martial arts expert. 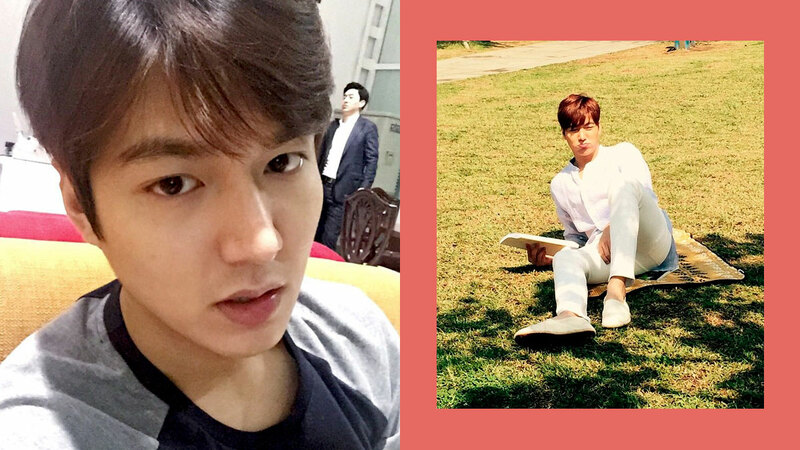 Lee Min Ho's first album, My Everything, is dedicated to (who else?) his fans, and it consists of a variety of ballads and upbeat tracks. When he released it in 2013, he also went on a fan tour, going to Asian countries such as Malaysia and the Philippines to perform. Lee reportedly had romantic relationships with South Korean actresses Kim Hee Sun and Park Min Young but his most recent girlfriend is Bae Suzy. Lee Min Ho dated the Korean superstar from 2015 to 2017, and their relationship became public after photos of them together in London circulated online. Their respective agencies, JYP Entertainment and MYM Entertainment, confirmed that the couple broke up due to private issues in 2017. Lee Min Ho was assigned at the Suseo Social Welfare Center in Gangnam District Office and worked as a public service officer. He was deemed unfit for active-duty service because of injuries from two car accidents: one in 2006 with fellow actor Jung Il Woo, and another in 2011, while filming City Hunter. In March 2018, 10 months after being a public service worker, he entered his military training at the Korea Army Training Center in Nonsan, South Korea and returned to public service duty after four weeks of basic military training. According to Soompi.com, Lee Min Ho will be discharged on April 25, 2019. He's actually a little clumsy (awww). He's tripped on the red carpet a couple of times and it's been caught on tape! He's a philanthropist! He even has his own fundraising and social donation platform called PROMIZ, which he founded in 2014. He has a wax figure at Madame Tussauds in Shanghai, which was unveiled in 2013.